having some problems with the site. i’m working on it, and will be back up shortly. GARY JULES, A ONE HIT WONDER? I have read in dozens and dozens of places that Gary Jules is a one hit wonder. That hit obviously being the cover, Mad World. The song has appeared in different places, but people, for the most part, discovered it while watching the movie Donnie Darko. I am here to set the record straight, once and for all. Gary Jules is NOT a one hit wonder. Anyone who claims that Mad World is his only good song clearly hasn’t heard any of his other music. His album, Trading Snakeoil For Wolftickets, has not yet been released in the United States for some reason, which may be what is causing the confusion. (UPDATE:available through CD Baby) Gary Jules is a very talented musician and songwriter, and just because Mad World is the only song that has hit mainstream, that doesn’t mean his other songs are bad. It just means that he hasn’t gotten the respect that he deserves, just like many other independent artists. The difference between him and them is that this once “no name” had this one song that became big, while many other good independent artists never have had that opportunity. So here are a few of my favorite Gary Jules songs. Take a listen and decide for yourself, is Gary Jules really a one hit wonder? UPDATE: Meant to add that Gary Jules just released a new album that is available in the US. Visit his myspace to hear some of his newer tunes, and to get directed to where you can buy the album. Ahkil Bhatt, Sam Doty, and David Nyman. Put them in a studio (under a chapel) in the middle of nowhere Wisconsin for 10 days, and what would you expect other than a killer album? Soma started about 2 years ago, when the guys were still in High School, and decided that their life was boring so they should start a band. They started out with an EP, at which time they did an impressive cover of Modest Mouse’s Float On. The cover sounds very similar to Ben Lee’s cover of the song, however, Soma released the song before Ben Lee did. Some conspiracy theorists still accuse Ben Lee of hearing Soma’s song, and using his fame as a weapon, recording the song in the same mellow style that Soma did, and passing the originality off as his own. Soma, of course, has no hard feelings toward Ben Lee and still listens to his music (including his cover of float on). The band just recorded their first full album, Back To Massachusetts. I really like what the guys are doing, and highly recommend you check out them out. 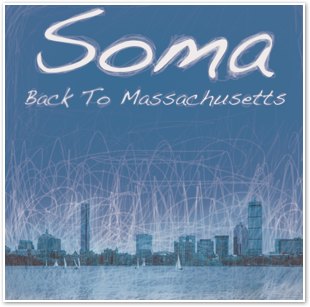 There is no doubt in my mind, that Soma will continue to improve, the more they record. This is a post from Dave over at just pretend. So think of him when you are downloading your 250 free itunes songs. only him. All you need is a Facebook account. Just join the group “Apple Students” and then figure out the rest from there. They will be giving out 25 song samplers. This week is Alternative. It contains songs from Mates of State, Grandaddy, Pheonix, The Prototypes, and more. Every week they will put out 25 more songs with a different genre for 10 weeks. It’s a really nice deal. It’s interesting anyway to see all the songs in which iTunes will put in each mix. Former Ben Folds Five Member, Darren Jesse, Still Making Quality Music. If you are a true Ben Folds Five fan then you have to know Darren Jessee. He was the drummer of the band, and recently released a new album with his newer band, Hotel Lights. Darren helped co-write some popular BFF songs such as Brick, Song for the dumped, and Kate. After BBF broke up in 2000, he moved from Chapel Hill to New York City, and started perfoming solo. 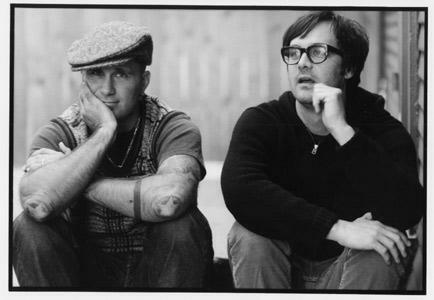 Realizing he couldn’t record a solo album with the music he had written, Darren decided to move back to North Carolina to form his band including: former Archers of Loaf drummer Mark Price, Roger Gupton (bass, vocals), Chris Badger (keyboards, guitar), and Al Weatherhead. Fountains of Wayne member Adam Schlesinger helped out with several tracks on the album as well. I have been listening to Hotel Light’s self-titled album since its release, and think that it is definitely worth your listen. It is mellow, thoughtfully written, and overall an album that I will be listening to for quite some time. I would have posted two more songs that I love, Coldplay’s Warning sign, and Rufus Wainwright’s Cigarettes and Chocolate Milk, but I don’t think that it is right to put more than 4 songs up and you most likely already have them. This is a great soundtrack, and I’m sure I’ll end up buying it, even though I have all the songs. If you like the songs above, it is only a taste of what’s on the soundtrack. So I guess what I am trying to say is, BUY THE SOUNDTRACK! And if you liked Garden State, from what I’ve heard, you’ll like The Last Kiss. The question mark at the end of my title implies that I am even somewhat knowledgeable on the subject of what Janove Ottesen’s other, other side is– the one opposite of the one that I am referring to in my title– which I am not. So I thought that I would throw that out there. To tell you the truth, I know close to nothing about the man. I know that his name is Janove Ottesen, I know that he is a musician, and I know that he is in the Norwegian sextet Kaizers Orchestra, and just released his first solo album in the US. That is everything that I know about him. Nothing more, and hopefully nothing less. The reason that I titled my title what I did, is because Janove’s solo album seems to be QUITE different than his bands music. I don’t know exactly what to think about Kaizers Orchestra, and having only listened to a few songs, I must say that the songs seem a bit odd to me. And from what I read about their concerts, the band also seems kind of odd…having gas masks, crowbars, oil barrels, etc. present. I guess in parts of Europe they are really big, and have the highest-selling debut album sung in the Norwegian language. While Kaizers Orchestra music may not really be my taste, I did check out some of the lead singer of the band, Janove Otteson’s, solo music. Like I said, it is extremely different than his bands work, and from what I am gathering, that is why he chose to do the album. For one thing, the solo album is in English as opposed to Norwegian, which makes it so much less confusing, and from what I’ve heard on the album, there are a few songs that I think are worth sharing. After having heard Kaizers Orchestra, Otteson’s solo album really intrigued me as it might you as well if you check out a sample of the bands music first. How this can be the same person, I’m just not sure. What better way to start off my music site, than to post about my favorite band. You guessed it. Wilco. Jeff Tweedy and his boys are musical geniuses, and with news of a new album on its way, I couldn’t be more excited. Rumor has it that the bandmates of Jeff Tweedy have had a lot more input on the new album, so it will definitely be interesting to see what the band has in store for us. From what I hear, the album is set to be released next spring, but as we have already learned with the release of Yankee Hotel Foxtrot, timing doesn’t always work out as planned. (for those of you who don’t know, Reprise wanted Wilco to rework the 2002 album, and they refused to, liking it the way that it was. The label dropped Wilco, and they signed with Nonesuch, which ironically enough is a Time Warner subsidiary along with Reprise. The band streamed the album online, and it turned out to be Wilco’s best selling album to date, selling over 500,000 copies.) People have told me Wilco rocked Summerfest, and I plan on seeing them perform at Chicago’s Lollapalooza. I have to say, It’s nice to see them back here in their hometown of Chicago. The last time they played here was November of last year doing a hurricane katrina relief concert. I took the above photo at the show while the band was playing a song with the New Orleans All-Stars. Ian Hultquist is currently studying at Berklee College of Music. He is a very talented musician and I highly recommend you take the time to check out some of his other work at his myspace page. 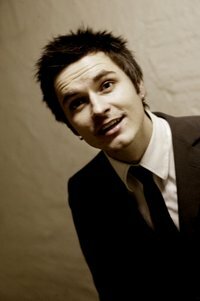 He isn’t in any set bands at the moment, but plays solo and sometimes with different musicial groups. I am going to try to track down some more of his music to post at a later date. after several days of trying to transfer my site from indiespensablemusic.blogsome.com, i have finally finished. the site still needs a few design fix-ups here and there, but there is no reason to delay the opening of the site any longer. let’s get this thing started. thanks for stopping by. i hope to make it worth your while.